Pretty Pet Salon Asian Edition is back on the App Store for iPhone, iPad and iPod touch! 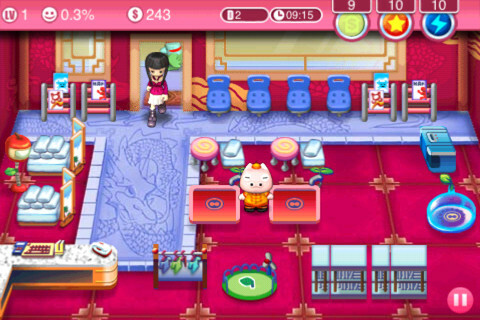 A special installment of the highly-successful Pretty Pet series of games, Pretty Pet Salon Asian Edition brings the characters and gameplay made popular by the original Pretty Pet Salon, and spices it up with a colorful oriental theme. Pretty Pet Salon Asian Edition is free to download and play, with fast-paced time management action that will put the fastest of reflexes to the test.